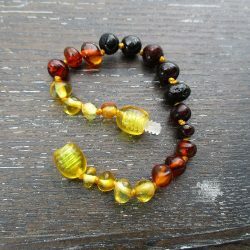 Amber has been worn for centuries as a natural remedy for pain relief and to promote fast healing and boost the immune system. 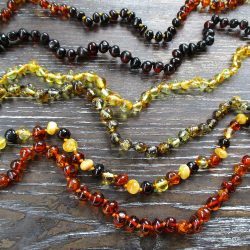 Commonly worn by babies from 3 months old, Amber teething necklaces have been said to help alleviate the discomfort associated with teething. 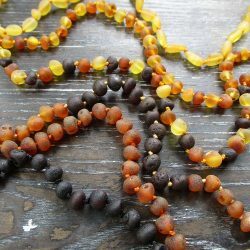 Amber’s analgesic and anti-inflammatory properties make it ideal as a natural homoeopathic product for babies and children. 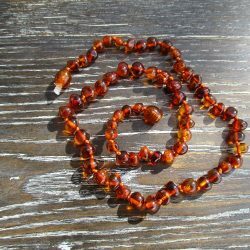 Amber contains Succinic Acid which is a natural plant component known for its analgesic and anti-inflammatory properties. 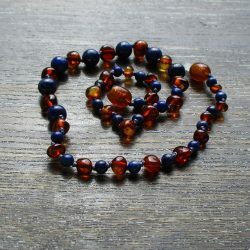 When warmed on the skin, Amber releases trace amounts of healing oils that will help calm and soothe a teething baby without resorting to drugs while also promoting a stronger immunity to common infection and assisting general well-being. 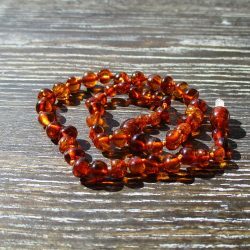 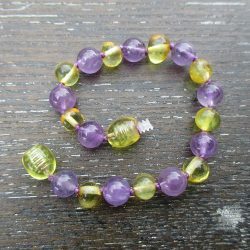 After working with crystals for a number of years (and after many requests) a natural progression once I became a mum was importing Genuine Baltic Amber teething Jewellery from Lithuania, which I have been doing since 2010 when I had my twin sons Max & Toby. 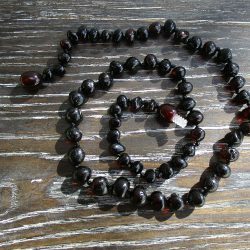 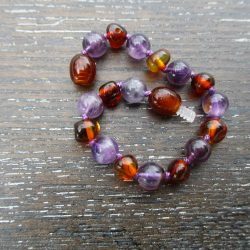 Because there is no middleman in this equation I am able to pass the savings on to you, and provide you with top quality gorgeous Baltic Amber Teething Jewellery, at a very reasonable price. 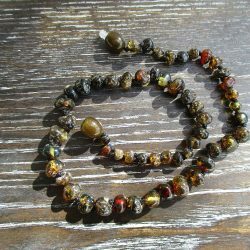 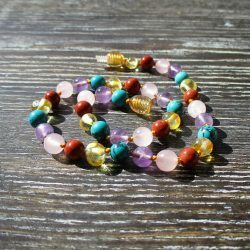 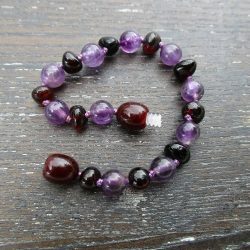 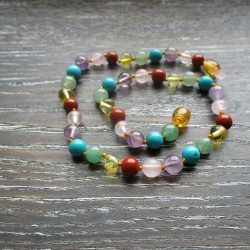 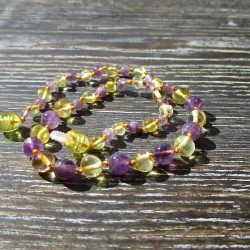 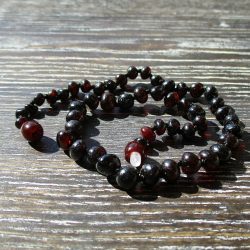 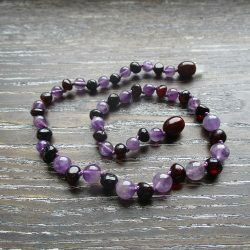 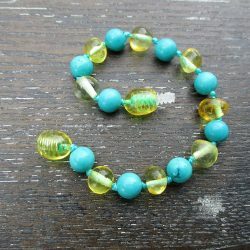 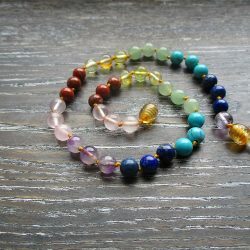 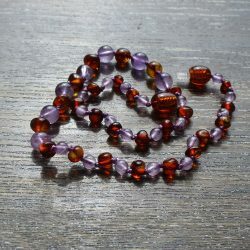 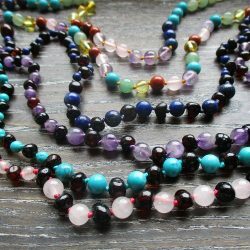 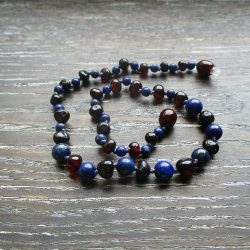 I mainly bring in Baroque style beads (which are rounded and comfortable to wear) These are lovely and smooth, which provide no distraction and so your baby should not even notice they are wearing them.